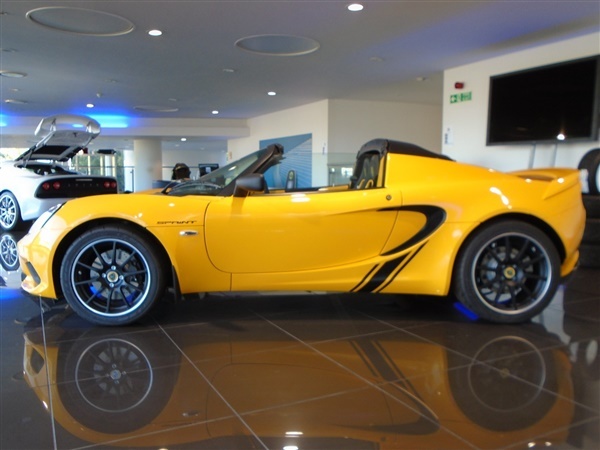 Daytime Running Lights, Black Alloys, Full Carpets, Cruise Control, Immobiliser,, 12v Socket, Air Bags, Air Conditioning, Alarm, Alcantara Upholstery, Anti Lock Brakes, Driver Airbag, Electric Windows, Metallic Paint, Passenger Airbag, Traction Control, Trip Computer, USB and AUX, Remote Central Locking,The Sprint edition of the Lotus Elise Sport 220 has been reduced in weight, to reach a benchmark dry weight of just 845kg. 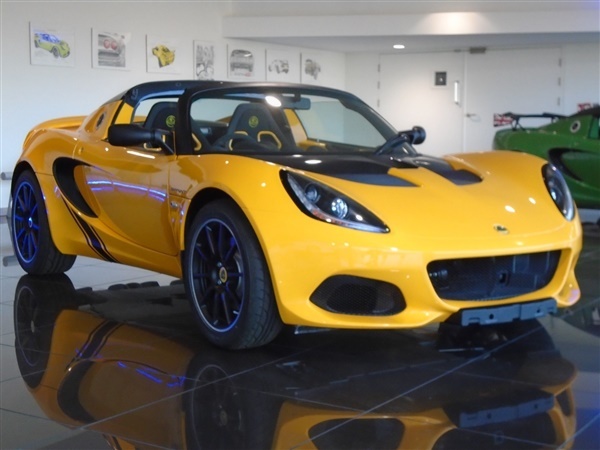 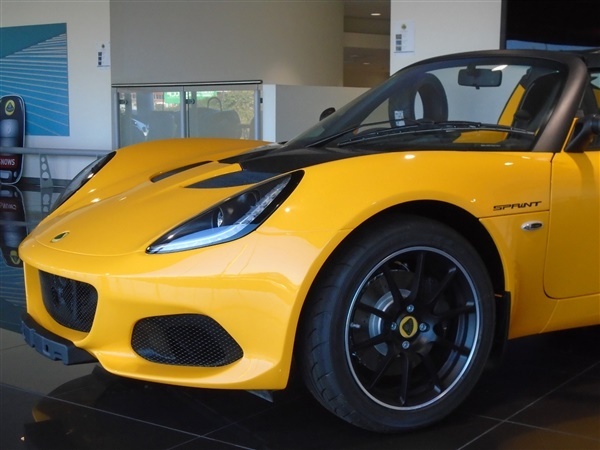 The standard lightweight components of the Elise Sprint 220 include a Lithium-Ion battery, saving 9 kg, Lotus beautifully detailed carbon race seats, 6 kg, new lightweight forged alloy wheels, 5 kg, while the carbon access panel, roll hoop cover and engine cover, and polycarbonate rear screen save 6 kg. 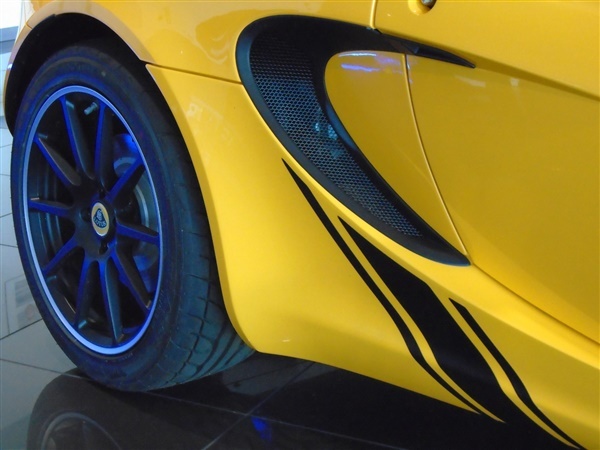 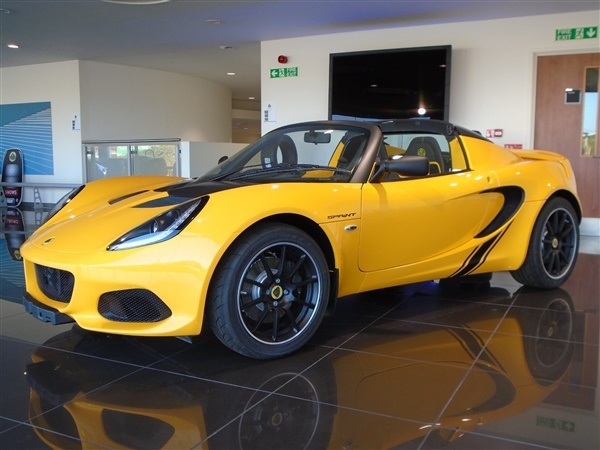 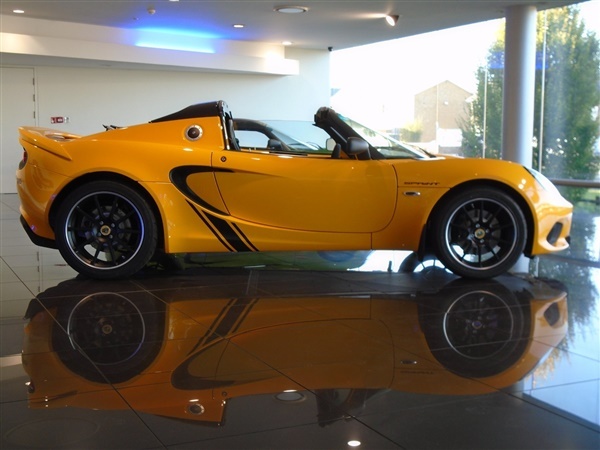 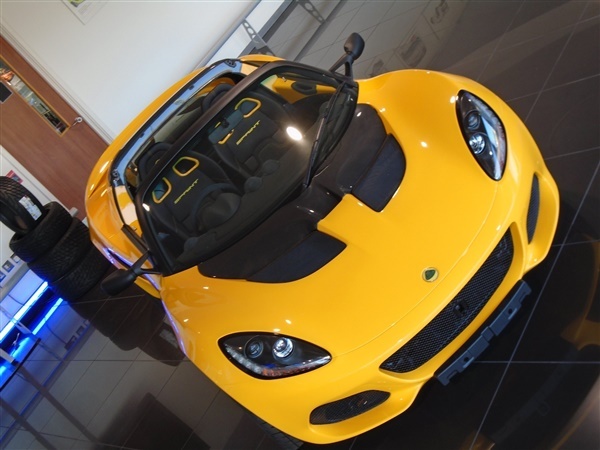 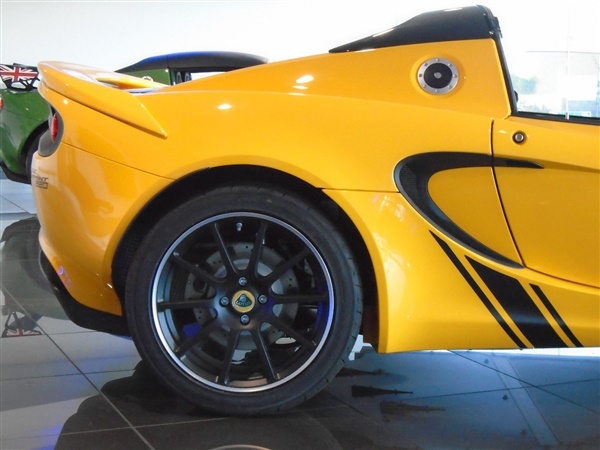 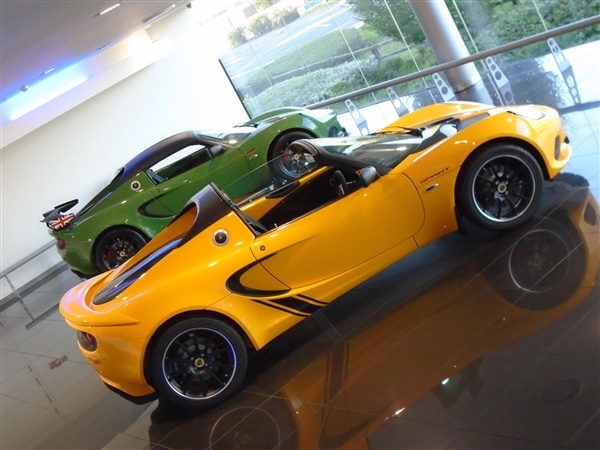 Collectively they cut an impressive 26 kg, compared to the Elise Sport 220. 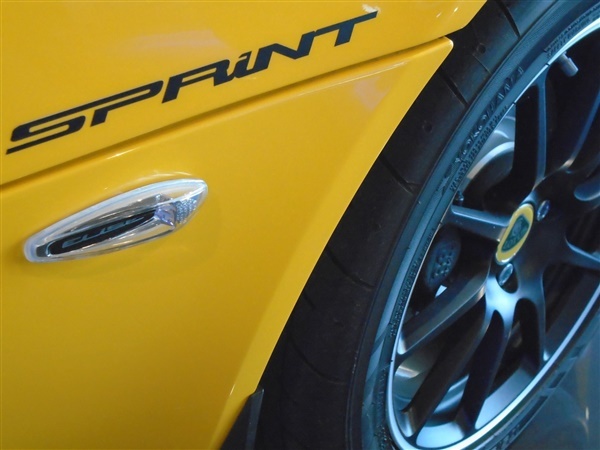 Optional two-piece brake discs, saving 4 kg, as well as optional carbon sill covers enable to reduce the weight even further.Our car is finished in yellow with black Alcantara with yellow stitching.The extras on our car are as follows.A/C,Floor Mats,Full Carpets,Cruise Control,Alcantara Pack,Sound insulation,Stereo + 2 Front Speakers.